At Disciples of Flight, we feel that humor is an important part of aviation. We’ve all pulled boneheaded maneuvers, or forgot to check important things before. And we’ve seen our friends and fellow aviators do it too. But hopefully, we’re able to laugh about the experience, learn from it, and become safer aviators. 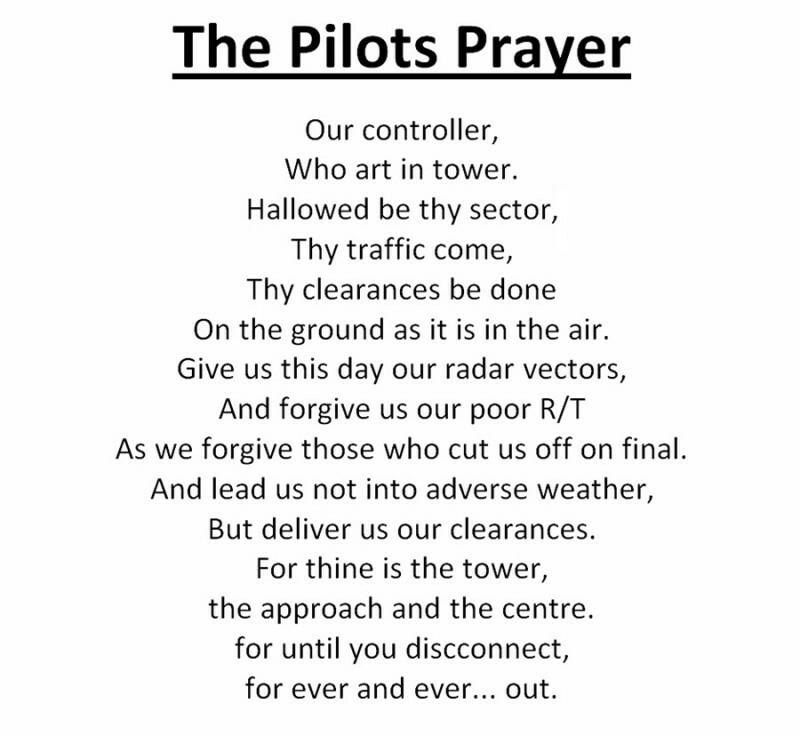 Below is the Pilot’s Prayer, sure to make anyone whose ever had to work with ATC chuckle. Many versions of this particular piece of humor exist, and though it’s hard to find a source where it originated, it’s an enjoyable read none the less.